Five community leaders sat down to lunch at the Conrad Miami last week with a tasty assignment: They would sift and weigh the applications of 34 non-profit organizations to choose 12 that would creatively leverage free luncheon meetings to advance their causes. 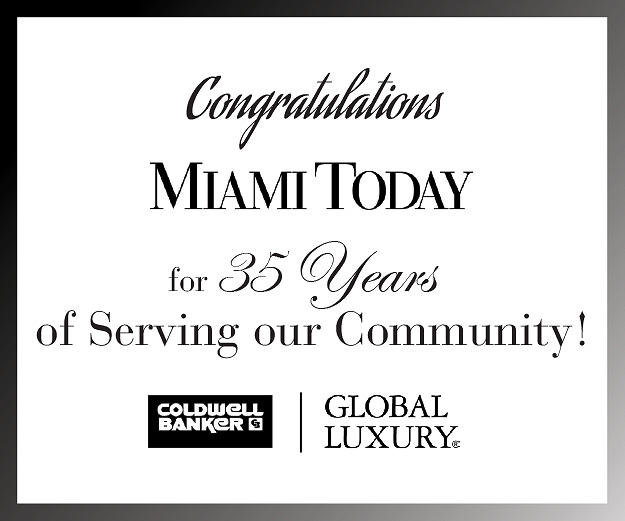 What came out of that lunch are the first 12 Reflections in Excellence organizations Conrad Miami will host with Miami Today in a new program aimed at improving the community by strengthening the efforts of non-profit groups. Starting in late April, one of the organizations will host a lunch each month for 20 to 25 persons at no cost. Each has a different aim for its luncheon – indeed, the use to which they would put the program is one of the yardsticks the judges used in selecting the 12 organizations, a difficult task indeed. The Historical Museum of Southern Florida wants to "invite 20-25 people from Miami’s oldest families, encourage them to donate invaluable papers and artifacts, and let them know what the museum is doing to serve the community." ArtSpring says "the luncheon would provide a venue in which to launch our planned public relations/media campaign to give a presentation and promote networking. This would allow us to introduce our organization to new faces." The Education Fund will honor 20 of its most supportive donors and present Twenty Years of Excellence awards to them during the organization’s 20th anniversary year this year. CHARLEE Homes for Children, one of two alternates chosen, says the organization "would be able to acknowledge those who have been supporting us financially over the years as well as promote awareness to those who have the potential to build a relationship." Arts for Learning/Miami wants to acknowledge corporate sponsors at the conclusion of its Suitcase Project, an after-school program in which professional visual artists, poets, dancers and actors work with students throughout the county creating works related to the students’ families’ migration-to-Miami stories. Guardianship Program of Dade County plans to "recognize integral leader, advocator and supporter of this organization, our board president, David Mangiero." The list of reasons goes on, as varied at the 12 organizations themselves. The Children’s Bereavement Center offers support to children and families who have suffered the death of a parent, sibling or another significant person in their lives. Another organization serving the young, Voices for Children Foundation, raises funds so abused and neglected children have court-appointed guardians to be advocates for their best interest in court proceedings. Foster Care Review reviews the safety and well-being of abused and neglected children living in the foster-care system. Also focusing on youth, Teach for America tries to eliminate educational inequities by recruiting outstanding recent college graduates to commit to teach for at least two years in schools in low-income communities. A recent profile of Executive Director Jane Henzerling in these pages cast a spotlight on this excellent program. But all of the programs that were selected, and dozens that couldn’t be, showed excellence. The judges had to look at their needs and ability to leverage a luncheon program to meet those needs and strengthen the organizations. Look at the accomplishments of others the judges selected. For the third straight year, the Human Services Coalition, an alternate in the program, is offering free tax-preparation services, information about the earned-income tax credit and financial assistance to low-income families in Miami-Dade and Broward through its seven Prosperity Centers. During the past year, under the auspices of Carrfour Supportive Housing, a 66-unit apartment complex in Miami, Little River Bend Apartments, opened its doors to the formerly homeless. Residents who move in get a chance to start over for a better life. Entrepreneurship training programs of the Miami Urban Ministries of the United Methodist Church in the past year have trained nearly 100 low- and moderate-income persons and helped start five new businesses that created more than 11 jobs. The largest of the winners, United Way of Miami-Dade, made major investments in the community’s well-being, approving $14.2 million to support 143 distinct programs at agencies throughout the county. The judges who made the difficult choices about which agencies could best use the opportunity Reflections in Excellence provides are themselves distinguished – Monsignor Franklyn Casale, president of St. Thomas University; Grace Lopez, board member of the Susan G. Komen Breast Cancer Foundation and office administrator for law firm Weil Gotshal & Manges; Scot Marken, president of the Donors Forum; Dana Nottingham, executive director of Miami’s Downtown Development Authority; and Harve Mogul, CEO of United Way of Miami-Dade, who characteristically did not vote for United Way in the balloting. 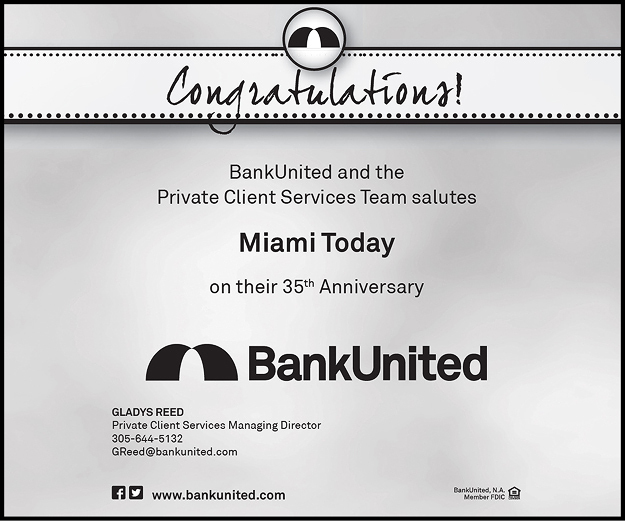 Miami Today is proud to join in this program. We’ll be spotlighting each of the 12 luncheon programs and the organizations who produce them to highlight some of the best public service in our community. We think that’s part of a newspaper’s mission. Credit for conceptualizing the program goes to Robert Thrailkill, general manager of Conrad Miami. "Organizations that do great works are unsung heroes," he said. 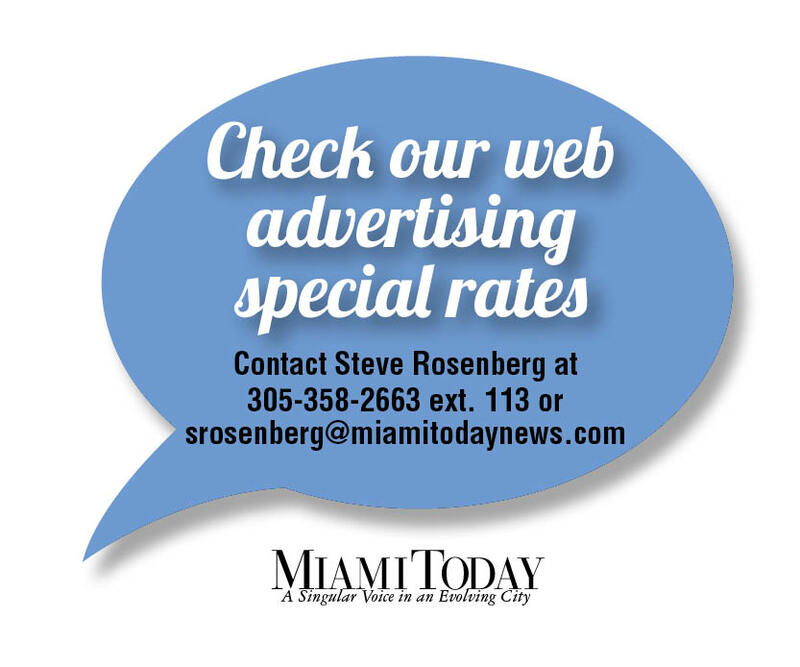 "I think that organizations such as Miami Today and Conrad Miami need to recognize them for what they do that makes our city one that people want to visit and where they want to do business."